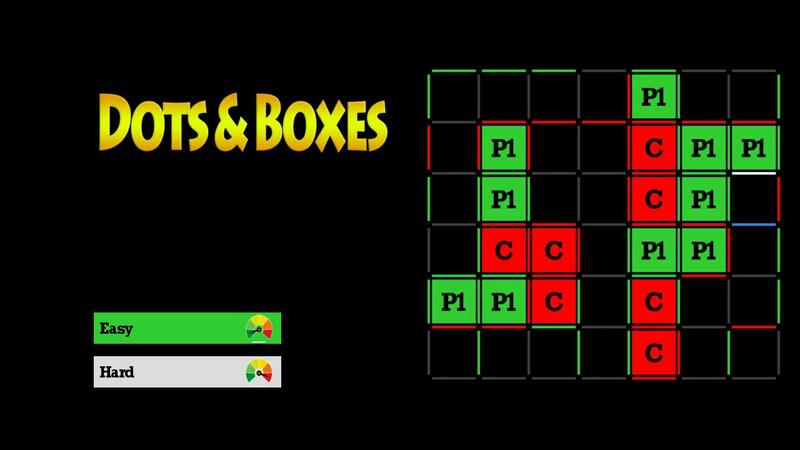 The main challenge in developing Dots and Boxes Roku application was to connect adjacent dots with a horizontal or vertical line and completing the four sides of a square (box). To design the game board having 8 x 7 grid size and handle the focus moving on the game board. To implement the functionality to differentiate the easy and hard game modes on the basis of checking best position to make a box. The score is to be calculated by the number of complete boxes by connecting adjacent dots. First, we designed the game board using different renderable nodes of scene graph and then we worked to handle the visibility focus on the game board. Implemented logic in BrightScript for the toughness of the game according to the game mode selected by the user. Implemented logic in BrightScript for checking the sides of the box and calculate the number of the complete box. Successfully designed the game board having 8 x 7 dot grid size and handle the focus on the game board. Dots and boxes lovers finally found their loved game at the Roku Channel Store.